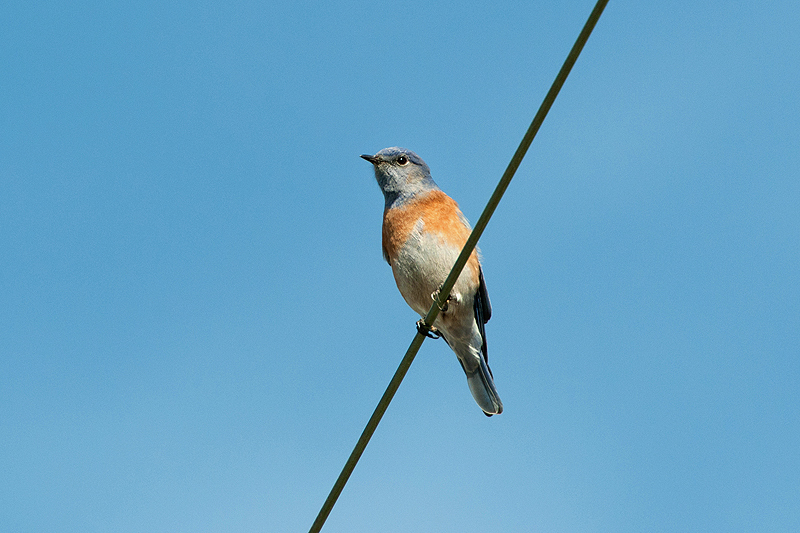 Focusing on this guy made me miss the high point of an epic Redtail vs. Golden Eagle encounter… but… hey, it’s a Western Bluebird. 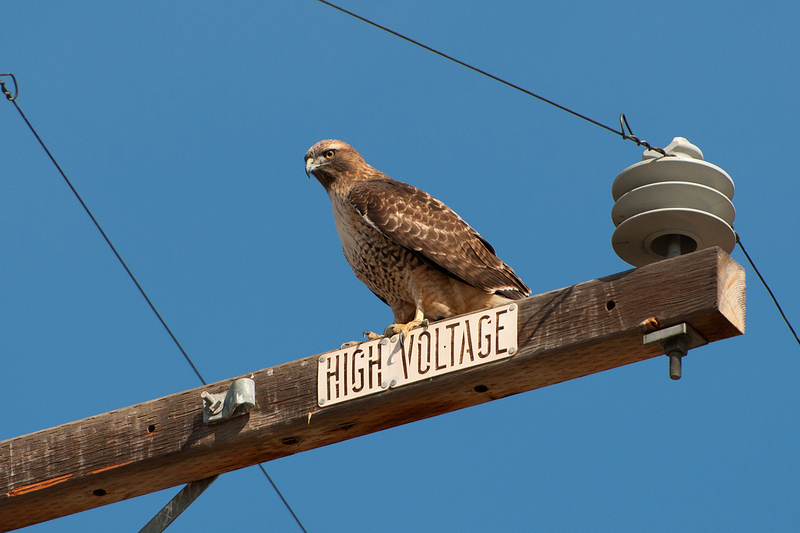 He was doing an imitation of MC Hammer’s typewriter dance down the wire… worth it. 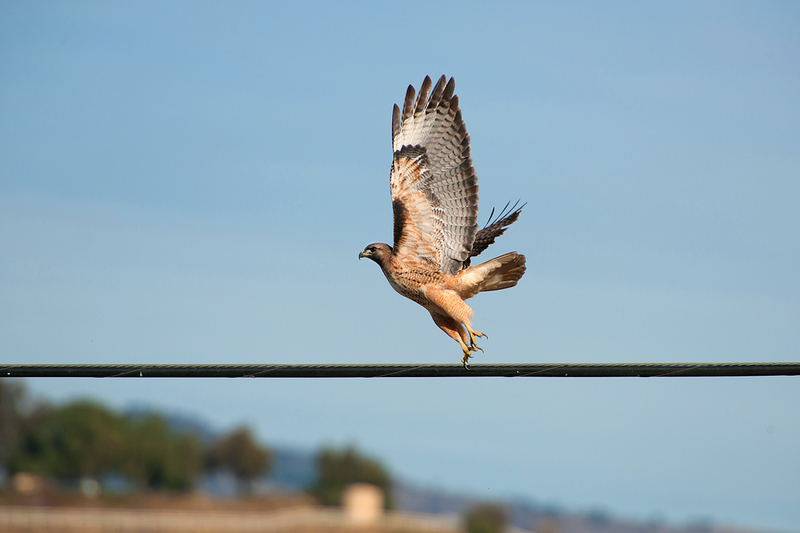 Occasionally you’ll see a Redtail on a wire but they tend to prefer a sturdier perch where they can hone their skills at impersonating insulators. 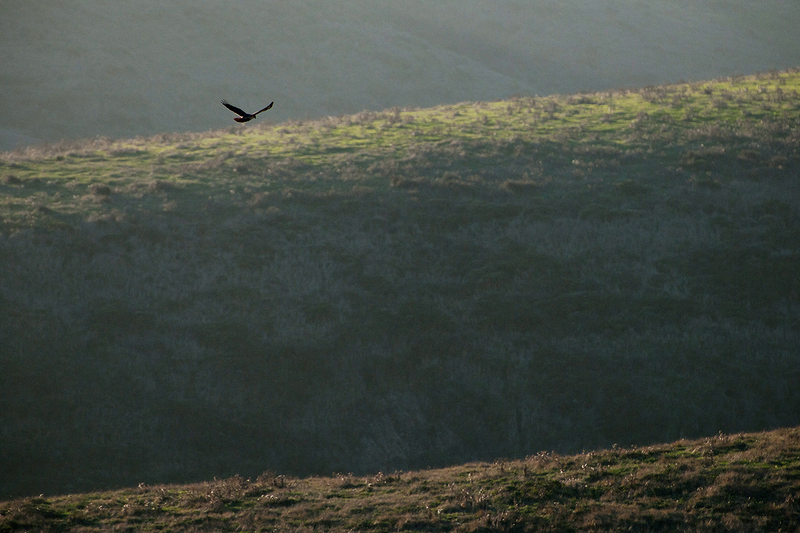 No better way to spend an afternoon than meandering through Point Reyes National Seashore. I felt a sense of urgency on this day as the light was already golden when I left the house. 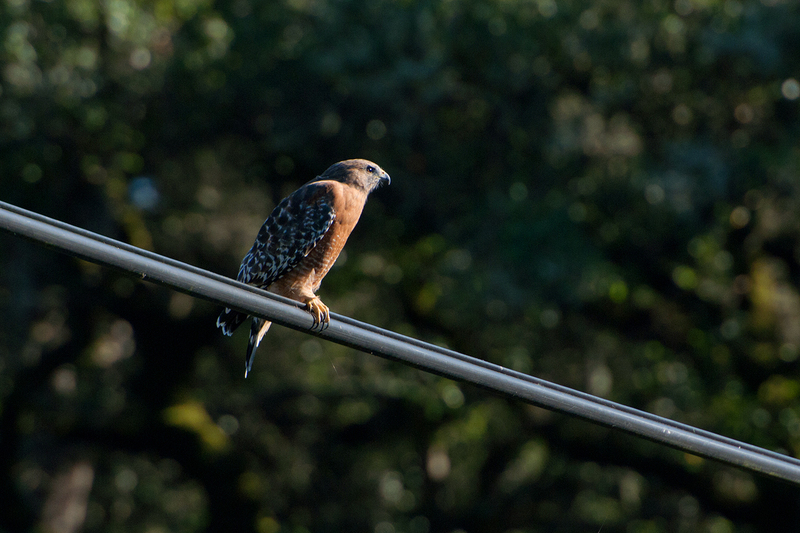 This Red-shouldered Hawk still managed to stop me in my tracks well before I’d even arrived at Point Reyes. 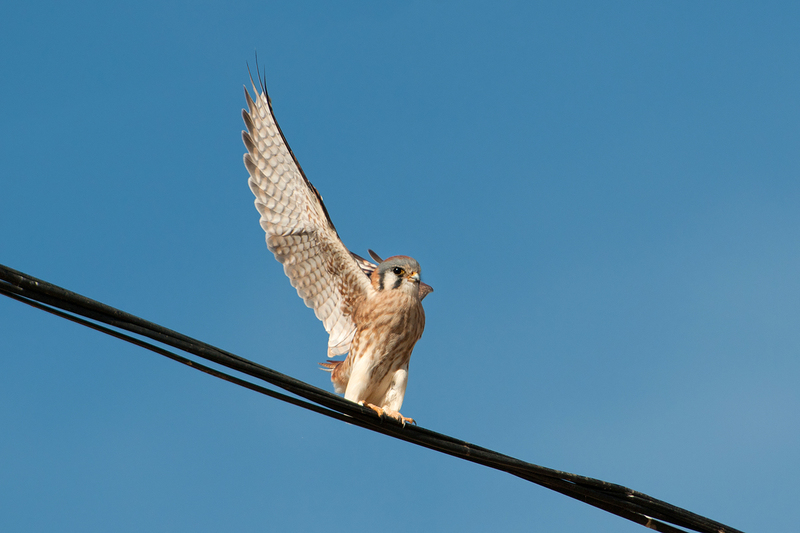 A female American Kestrel hover hunting the hillside looking for small rodents and insects. Got one! She caught at least 5 insects in the 5 minutes I spent watching her. 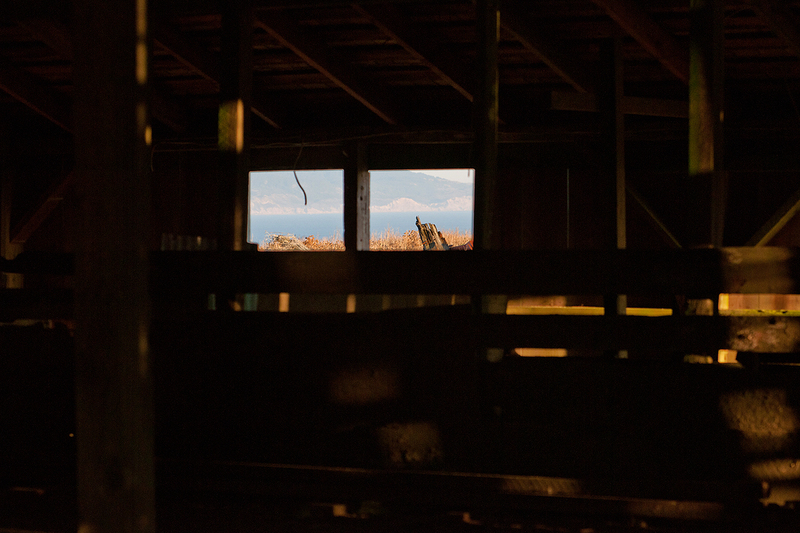 I walked into this barn to photograph the view of the ocean framed in the window and two Northern Flickers flitted around in the rafters, eventually heading out through these very windows. 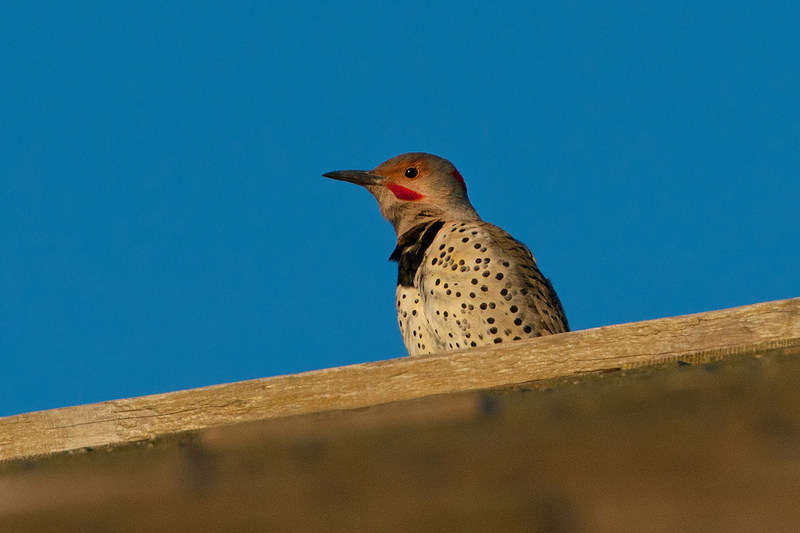 I found one of them waiting in the sunlight on the ridge of the roof. 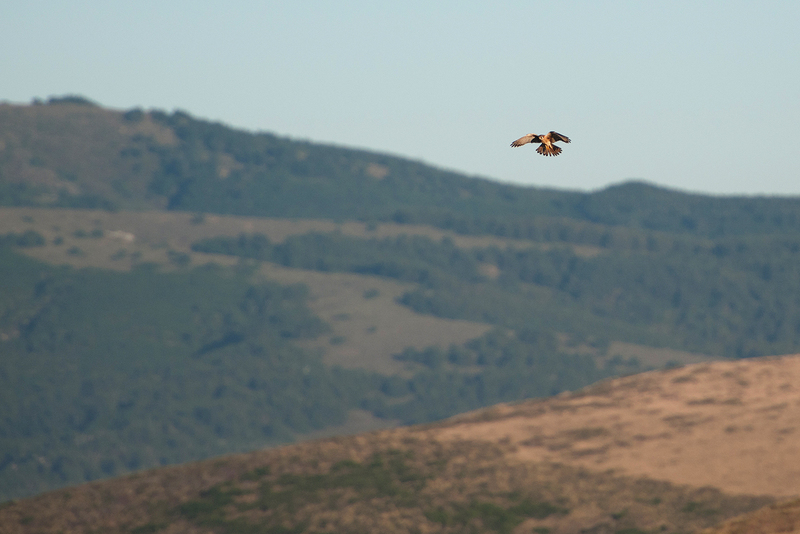 In the distance, a Red-tailed Hawk hunts above the rolling hills. The raking light making any movement below highly visible. Even small gophers cast long shadows in conditions like this. 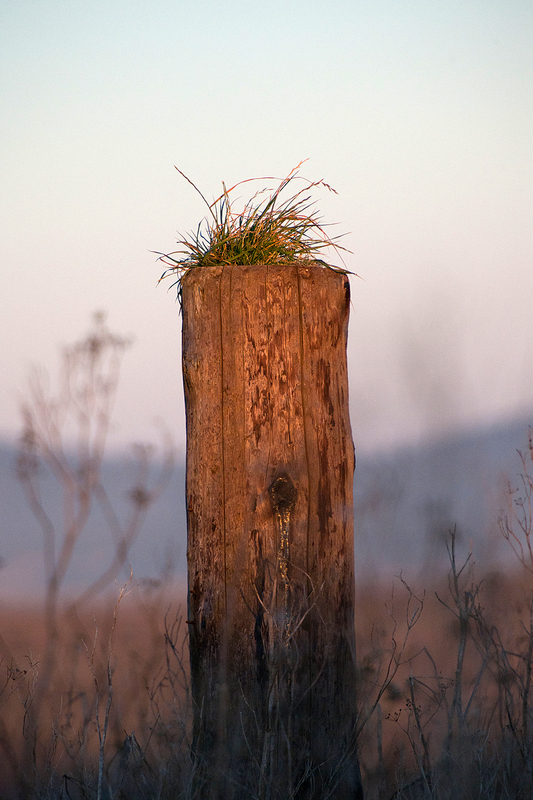 Aspirational grass. It has a great view from its island. 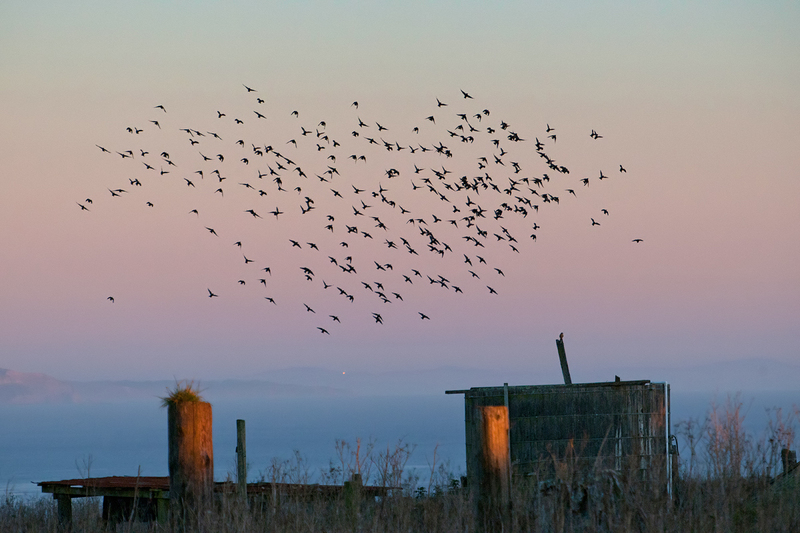 A stooping male Kestrel sent these Starlings skyward before it settled onto that pole on the right. 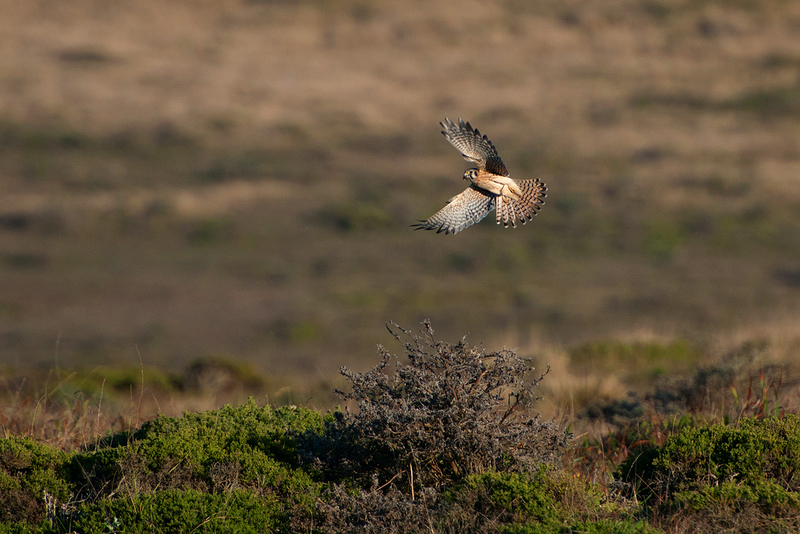 They swirled around him a few times before returning to their comunal roost. A nice way to start the evening.